In order for different species to diverge from common ancestors and drive evolution, reproductive isolation must occur. There are several types of reproductive isolation that lead to speciation. One major type is called prezygotic isolation and it happens before fertilization occurs between gametes. Basically, prezygotic isolation keeps different species from sexually reproducing. If individuals cannot reproduce, they are considered to be different species and diverge on the tree of life. There are several types of prezygotic isolation that range from incompatibility of gametes, to behaviors that result in incompatibility, and even a type of isolation that keeps individuals from physically being able to breed. Mechanical isolation is probably the simplest concept that keeps individuals from being able to reproduce offspring with each other. Simply put, mechanical isolation is the incompatibility of sexual organs. They just do not fit together. It may be the shape of the reproductive organs not being compatible, or size differences that prohibit the individuals from coming together. In plants, mechanical isolation is a bit different. Since size and shape are irrelevant to reproduction in plants, mechanical isolation is usually due to the use of a different pollinator for the plants. For instance, a plant that is structured so a bee can pollinate it will not be compatible with a flower that relies on hummingbirds to spread its pollen. This is still a result of differing shapes, but not the shape of the actual gametes. Instead, it's the incompatibility of the shape of the flower and the pollinator. Different species tend to have different breeding seasons. The timing of when females are fertile leads to temporal isolation. Similar species may be physically compatible, but may still not reproduce due to mating seasons being different times of the year. 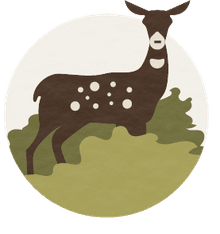 If the females of one species are fertile during a given month, but the males are not able to reproduce at that time of the year, then there will be reproductive isolation between the two species. Sometimes, mating seasons of very similar species will overlap somewhat. This is especially true if the species live in different areas where there is no chance for hybridization. However, it has been shown that similar species that live in the same area will not have an overlapping mating time even if they do when they are in different environments. Most likely, this is an adaptation caused by reducing competition for resources and mates. Another type of prezygotic isolation between species has to do with the behaviors of the individuals, and, in particular, the behaviors around mating time. Even if two populations of different species are both mechanically compatible and temporally compatible, their actual mating ritual behavior could be enough to keep the species in reproductive isolation from each other. Mating rituals, along with other necessary mating behaviors like mating calls, are very necessary for males and females of the same species to indicate it is time to sexually reproduce. If the mating ritual is rejected or not recognized, then not mating will occur and the species are reproductively isolated from each other. For instance, the blue-footed booby bird has a very elaborate mating "dance" the males must do to woo the female. The female can either then accept or reject the advances of the male. 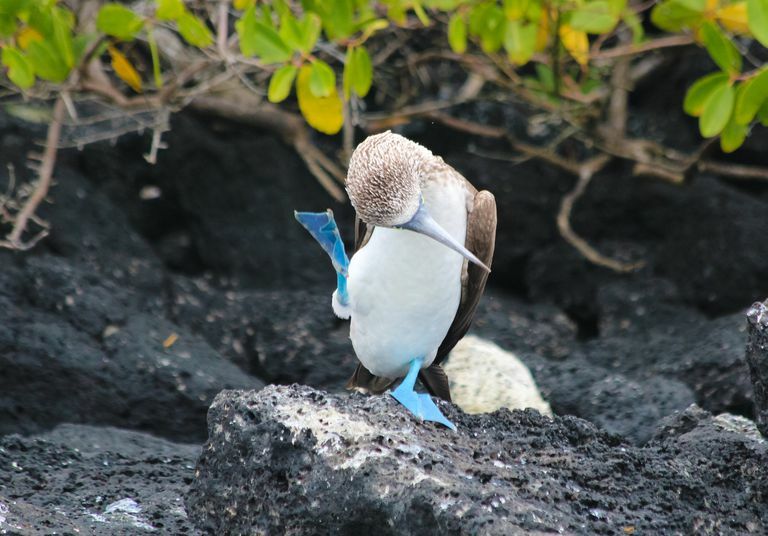 Other species of birds do not have the same mating dance and will be fully ignored by the female, meaning they have no chance at reproducing with a female blue-footed booby. Even very closely related species have a preference of where they live and where they reproduce. Sometimes, the preferred locations of the reproductive events are not compatible and this leads to what is known as habitat isolation. Obviously, if individuals of two different species live nowhere near each other, there will be no opportunity to reproduce and reproductive isolation will lead to even more speciation. During sexual reproduction, the female egg is fused with the male sperm and, together, they create a zygote. If the sperm and egg are not compatible, this fertilization cannot occur and the zygote will not form. The sperm may not even be attracted to the egg due to the chemical signals released by the egg. Other times, the sperm just cannot penetrate the egg because of its own chemical make-up. Either one of these reasons is sufficient enough to keep fusion from happening and the zygote will not form. This type of reproductive isolation is especially important for species that reproduce externally in the water. For instance, most species of fish have females that will just release her eggs into the water. Male fish of that species will come along and release their sperm all over the eggs. However, since this happens in the water, some of the sperm will get carried away by the water molecules and moved around the area. If there were not gametic isolation mechanisms in place, any sperm would be able to fuse with any egg and there would be hybrids of just about everything floating around. Gametic isolation ensures that only sperm of the same species can penetrate the egg of that species and no others.